The San Juan Arena is set to get major upgrades under an agreement made formal recently by San Juan mayor Guia Gomez, Filoil president Francisco Pasicolan and Filoil vice president Mandy Ochoa. 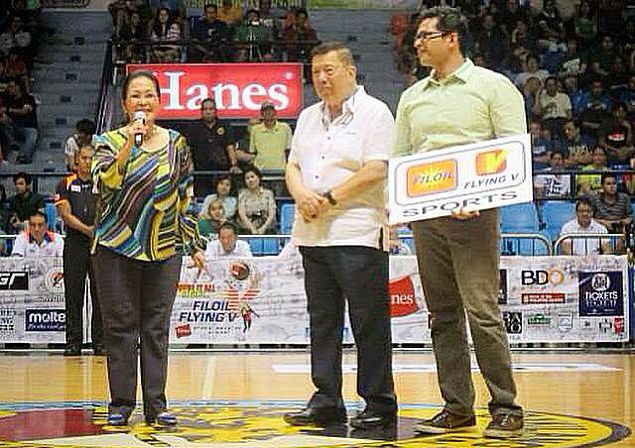 THE Filoil Flying V Arena is set to undergo renovation after the San Juan City government turned over the management and operations of the arena to the Homegrown Olympic Management Enterprises (HOME), also known as Filoil Flying V Sports. HOME official Joey Guillermo said the deal was made formal during the opening of the Filoil preseason tournament with San Juan mayor Guia Gomez, Filoil president Francisco Pasicolan and vice president Mandy Ochoa presiding over the turnover ceremony. The deal between HOME and San Juan is for 15 years. The San Juan Arena has been home to several major sports events since opening in 2006, most notably volleyball's Shakey’s V-League, UAAP, NCAA, and recently the Philippine Superliga. Major basketball leagues like the PBA, PBA D-League, NCAA, and the UAAP have also staged events at The Arena in San Juan, also known as Entertainment and Recreational Arena of the People. Now HOME is looking to improve the sports center on Santolan Road in Barangay Corazon de Jesus into a more complete events venue, and plans to add new structure for restaurants and other establishments. “We intend to renovate and introduce improvements on the facility in the coming months specifically commercial areas for locators of coffee shops and restaurants, gym and spa, and boutiques,” said Guillermo. “HOME envisions the facility as one of the leading venues for events and entertainment, particularly sports,” Guillermo said.